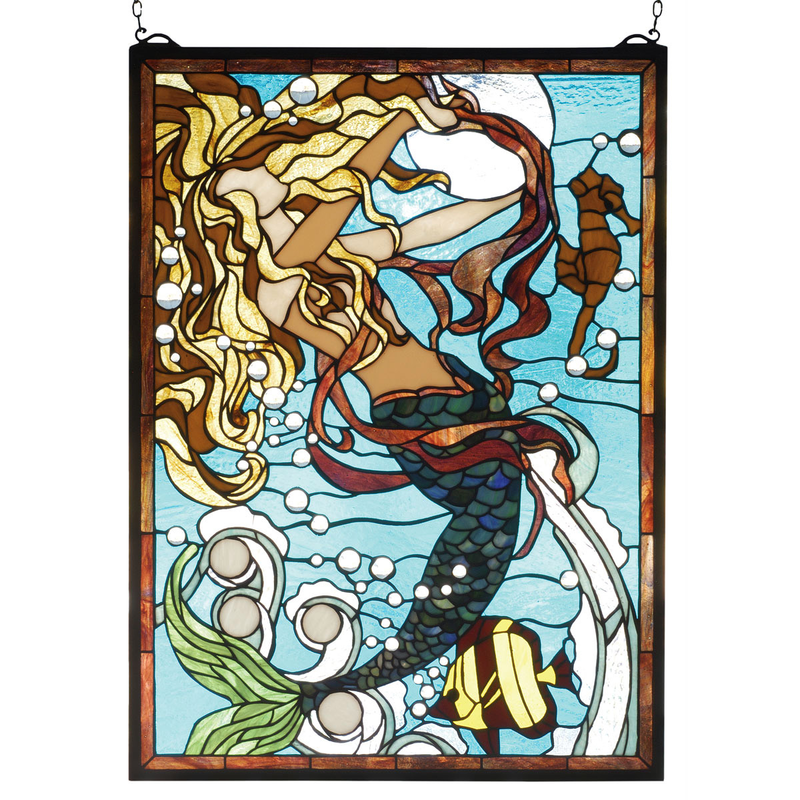 Add a welcoming glow to your home with the Gold & Chestnut Mermaid Stained Glass Window. This beach wall art is designed with clear glass jewel bubbles and rippling aqua waters surrounding an enchanting mermaid with gold and chestnut hair swirling against the lunar reflection as she plays with her deep sea companions for a coastal feel. This beach wall art ships from the manufacturer. Allow 5 to 6 weeks. Cannot express ship. For even more offerings, we ask you to take the occasion to go through our thorough array of beach wall art at Bella Coastal Decor now.